The Occupy Card would be issued through a bank and will be insured by the FDIC. Move over Justin Bieber and Suze Orman. The corporate greed-fighting movement, Occupy Wall Street, is now joining in on the prepaid card craze with plans to launch the Occupy Card. 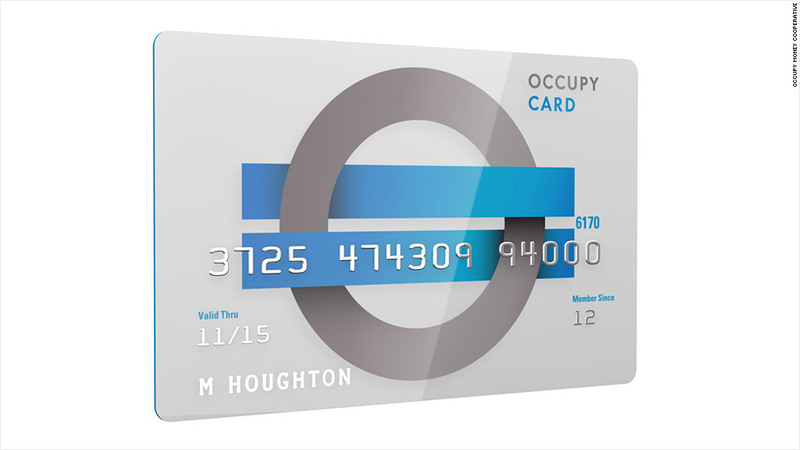 An offshoot of the movement, the Occupy Money Cooperative, is currently raising money to launch the card. 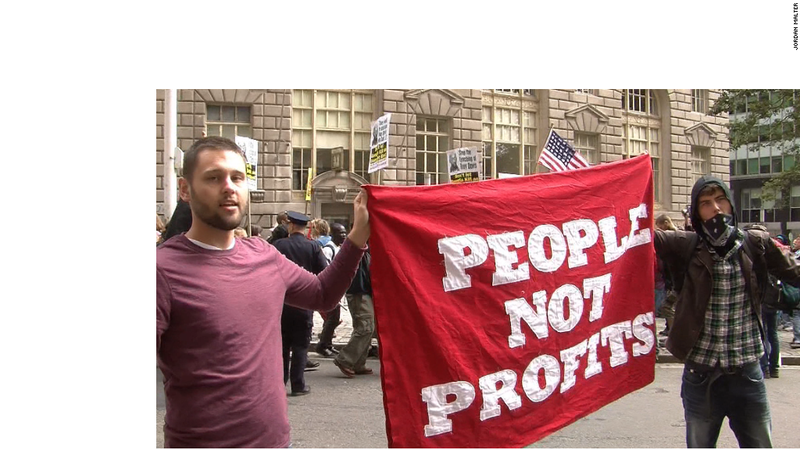 An Occupy Card may seem strange, since Occupy Wall Street has been protesting the financial industry for years now. But the group said the card will "start to fix the inequities in the present financial services system" by providing a low-cost cashless option for people who want to stay outside of the traditional banking system. That said, the card will still be issued through a bank -- although Occupy hasn't disclosed which one yet. That way, the card can be insured through the Federal Deposit Insurance Corp. so cardholders' money will be safe if the venture falls apart. Occupy says it will keep costs low by funding its operations through interchange fees, which are charged to merchants each time a consumer makes a purchase using a debit or credit card. And every cardholder will become a member of the cooperative, meaning they will share in any profits and help make strategic decisions about the group. "People who are unbanked, underbanked, and even just angry-banked will all benefit from using the Card because it is a better and more affordable product," the Occupy Money Cooperative's website states. So far, the group has raised just $6,000 of its $900,000 goal through social media. If the full amount isn't raised over the next few months, donors will get their money back -- although the co-op says it may keep a small percentage for the costs it has already incurred. Prepaid debit cards are notoriously laden with fees. And while some of the Occupy Card fees will beat those of the high-cost celebrity prepaid cards out there, it still carries its fair share of charges. The monthly fee is 99 cents (unless you make five direct deposits per month), and getting cash from an ATM will cost you $1.95 per transaction. You can add money to the account by using MoneyPak or Swipe Reload at 7-Eleven or CVS, but this will cost $4.95 (charged by the stores). Walmart will let you load cash onto the card for $3.74. Speaking to a live agent is another $2, and writing a check is $2. Overall, the Occupy Wall Street Card would cost the average cardholder about $250 per year in fees, personal finance site NerdWallet estimates. That's better than the $300 in fees that the average prepaid card comes with, but it's much higher than the amount you would spend using certain prepaid cards from the major banks -- the institutions Occupy Wall Street opposes most. The American Express BlueBird card, for example, costs an average of only $72 per year in fees. "It's not the worst card out there, but now that we have banks taking advantage of scale and offering such low-cost cards, it's hard to make a case for the Occupy card," said Anisha Sekar, vice president of credit and debit cards at NerdWallet. And many times, a traditional checking account is the cheapest option. About 38% of checking accounts at major banks are still free with no requirements like enrolling in direct deposit or maintaining a minimum balance, according to Bankrate.com. "Overall, The Occupy Prepaid Card will wind up garnering more attention for its ties to the socioeconomic movement, Occupy Wall Street, than anything that it actually offers to consumers," said CardHub CEO Odysseas Papadimitriou. Carne Ross, a founding board member of the Occupy cooperative, acknowledged that the fees aren't the lowest out there. But he said the more customers the Occupy Card gets, the lower the fees will become. "We want our card to be cheapest on market -- and if not cheapest, it will be among the cheapest," he said. "But we're also offering things others don't offer: we're going to be completely transparent and tell people how to avoid fees, and being a customer enables you to join the cooperative so you actually become part of the company." Yet, even Ross isn't confident the card will be a slam dunk. "Either we'll do amazingly well or it won't take off," he said. "I don't expect it to be a moderate success."